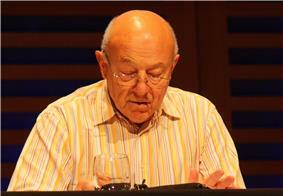 Sir John Tusa (born 2 March 1936) is a British arts administrator, and radio and television journalist. From 1980 to 1986 he was a main presenter of BBC 2's Newsnight programme. From 1986 to 1993 he was managing director of the BBC World Service. From 1995 to 2007 he was managing director of the City of London's Barbican Arts Centre. Born in Zlín, Czechoslovakia, in March 1936, Tusa moved to England with his family in 1939. His father, also John Tusa (Jan Tůša), was managing director of British Bata Shoes, established by the Czechoslovak shoe company, which, following its international pattern, also created a pioneering work-living community around its factory in East Tilbury, Essex. Two days before the German occupation of Czechoslovakia on 15 March 1939, Tusa senior flew out of Czechoslovakia on a Bata company plane, via Poland, Yugoslavia and France. He then became general manager of the Bata factory and its associated village in East Tilbury, living in the nearby village of Horndon-on-the-Hill where his son grew up. Tusa junior was educated at St Faith's School, Cambridge, Gresham's School, Holt, and Trinity College, Cambridge, where he gained a First Class Honours Degree in History. In 1960, he joined the BBC as a trainee. After presenting the BBC's 24 Hours and later Newsnight (from its inception in 1979), he became managing director of the BBC World Service from 1986 to 1993. Tusa was President of Wolfson College from January to October 1993. He was then a newsreader on BBC's One O'Clock News for two years during the mid-1990s. He anchored the BBC's coverage of the Hong Kong handover on 30 June 1997. From 1995 until 2007 he was managing director of the Barbican Arts Centre in the City of London. For several years, he was chairman of the board of the Wigmore Hall in London and was appointed chairman of the University of the Arts London in 2007. 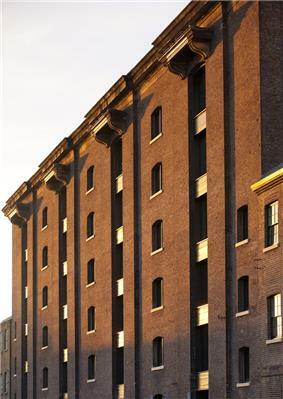 He was announced as having accepted the position of chairman with the Victoria and Albert Museum on 18 June 2007, but stepped down from the post a month later, recognising a conflict of interest with his position at the University of the Arts London.In 2013, it was announced that Tusa would be leaving his post at University of the Arts London from August that year, and that Sir John Sorrell CBE would be the new Chairman. Tusa continues to write and broadcast widely. He has written two books jointly with his historian wife Ann Tusa: The Nuremberg Trial (1983) and The Berlin Blockade (1988). His writings on the arts include Art Matters, On Creativity, and The Janus Aspect: Artists in the C20. John Tusa's Engaged with the Arts: Writings from the Frontline was published in 2007. It explores ways that the arts can be encouraged within a cultural and political climate in which funding is constantly under threat. Since his retirement from his BBC World Service post, John Tusa has been critical of some BBC policies. He deprecated the former director general John Birt's focus and management style and has been vociferous about subsequent decisions to pare down World Service activities in Europe, including the Czech section. In January 2009 Tusa became Chair of the Clore Leadership Programme. From October 2009 until the end of the year Tusa presented a 91-part series on BBC Radio 4. Day By Day used original archive news material to track events on a daily basis from 1989, including the fall of the Berlin Wall. In February 2010 he became Honorary Chairman of theartsdesk.com. Tusa was awarded a knighthood in the Queen's birthday honours list in June 2003. 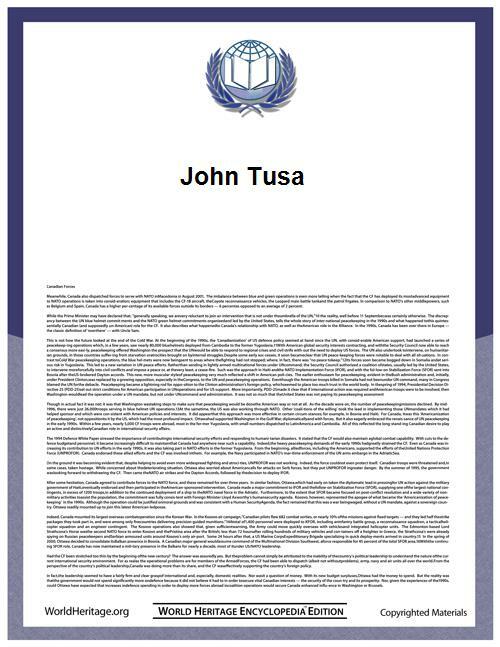 ^ "John Tusa". BBC News. 2004-01-29.